How many times have you wished for a luxury kitchen design, where everything is exactly where you want it and offers the high-end classy comfort you and your family deserve? It’s the desire of many homeowners. A functional, beautiful luxury kitchen that is uniquely tailored to your preferred design specifications takes a kitchen renovation to a whole new level. And much of that beauty and functionality comes down to your cabinets. From classically elegant to eclectic and edgy, custom kitchen cabinet doors can bring a kitchen to life. 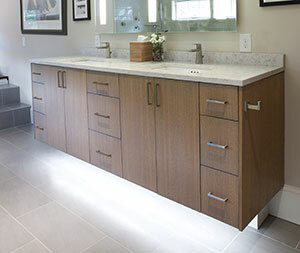 Rinehart Design’s team promises one-of-a-kind cabinet designs that are bound to impress. Our designs are what you can call uniquely yours as they’ve been created for you and you alone. Our team listens to your desires and builds a kitchen around them. No matter the request, we are up to the challenge. Not only do our 20+ years in the designing business give us the experience in building custom cabinets, but it also means that we have built countless custom designs. Our design team creates many of our fixtures in our own studio, making our prices the most competitive in the business. We offer focused, personalized services through every step of the process, including consultation, design and construction and installation. If you’re ready to finally enjoy the custom luxury kitchen design of your dreams, call our team at Rinehart Design Group today. We can’t wait to meet with you!